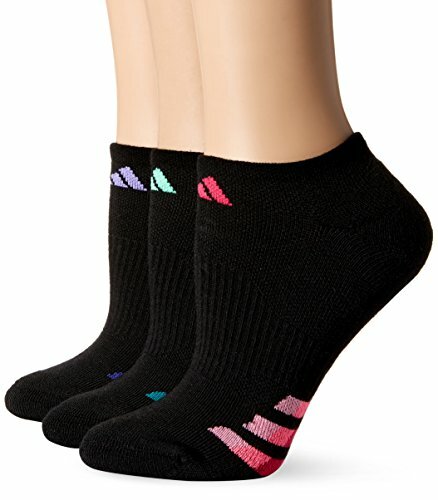 These 3-pack socks feature climalite construction to wick moisture. They are cushioned for comfort with a welt cuff for added durability. This sock was built with extended arch compression for greater support. Gradated stripe detail sets this sock apart creating a Balance of style and function. Ring SPUN cotton/polyester blend for excellent feel. Arch compression gives you a secure and snug fit. Climalite® moisture-wicking keeps your feet dry from sweat.